If you have an iPhone, you know Apple has done a great job in making the device very consumer friendly. But business users have been slow in coming around, that is until the global partnership with IBM in 2014. Since the announcement, many apps have been deployed for enterprises. And with the new iOS 9 mobile operating system, Apple — more than ever — has pushed how its phone can be used by businesses of all sizes. 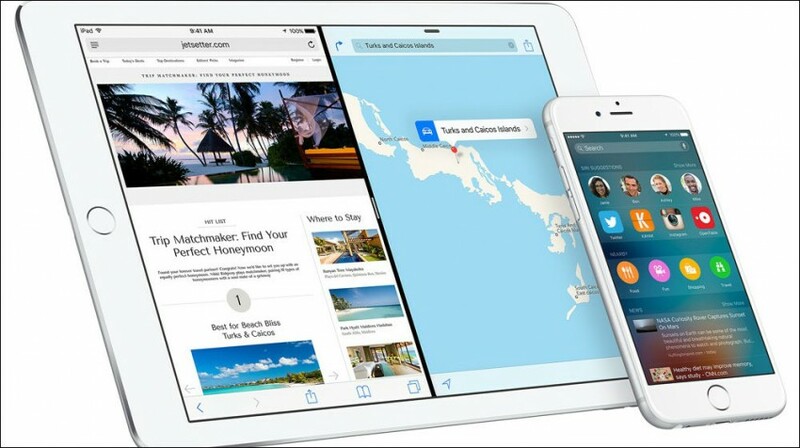 So what’s new in iOS 9 that will help you run your small business more efficiently? Apple says iOS 9 is better than ever for business and it has done this by introducing features that are essential in today’s connected and collaborative digital workforce. Not only that, but the business specific apps it has been creating with IBM have enhanced management tools with faster integration. And all of these improvements take up just 1.3 GB of your device’s on-board storage, compared to the 4.58 GB hogged by iOS 8. The public’s expectation of Siri was maybe a bit too much, but she is getting smarter. And for small businesses without a personal assistant, the new features in Apple iOS 9 can give you a heads up on many different tasks. A great new feature creates context-specific reminders so you or your employees can be reminded at a certain time or when a specific email, website, a note or a maps location is opened. Notes lets you attach images, videos, Web links and Maps locations. If you need to add more information, you can add bulleted to-do lists using checkmarks and sketches. And if you have multiple devices throughout your company, any changes you make on your Notes will be updated to all of them through iCloud. Many businesses now deploy iPads so their employees can work from anywhere. The new Split View mode lets them use two active applications on the screen. This means Word and Excel files can be open at the same time and data can be swapped between them seamlessly. Collaboration is key to the way we work today. With this new feature, FaceTime video calls can be scaled down and moved so the application can take over the rest of the screen. You can chat and work on your apps without missing a beat. The previous iOS Mail app limited the attachments of images and video to what was stored on your device. This was a great inconvenience for businesses that wanted their employees to be able to mail content from different sources. That is no longer the case in iOS 9, as you can now add files from iCloud Drive, Dropbox, Google Drive, Apple apps and more. Cash is a great inconvenience for small businesses, and mobile payments are making things much better. The new platform will be able to store retail and loyalty cards in addition to standard credit cards. Calendar is a great feature, but now it is much better because iOS 9 accesses reservations for restaurants, trips and other events from your email to make sure you are always on time. Based on this information, it looks up the location on Apple Maps as well as traffic conditions and makes suggestions about when you should start your trip. Business travel meansy new cities, and the iOS 9 has a new Transit view that gives you directions including public transportation. It also has a multi-modal route planning feature that includes public transportation, other transport or walking as part of your overall directions. Another Maps feature is “Nearby,” which displays Food, Drinks, Shopping, Travel, Services, Fun, Health and Transport located around you. One of the biggest concerns many have with their devices is security. The 4-digit passcode of the past is no longer sufficient, so iOS 9 has a 6-digit code to secure your device. An additional security feature is two-factor authentication, an extra layer of security for your Apple ID. As the collaboration between Apple and IBM continues to grow, there will be more business apps in future iterations of iOS, and some may be of use to your business.